Strip Packaging, Dispill Packaging, and cold seal foil packaging are among some of the customized forms of prescription packaging that we offer to our customers. 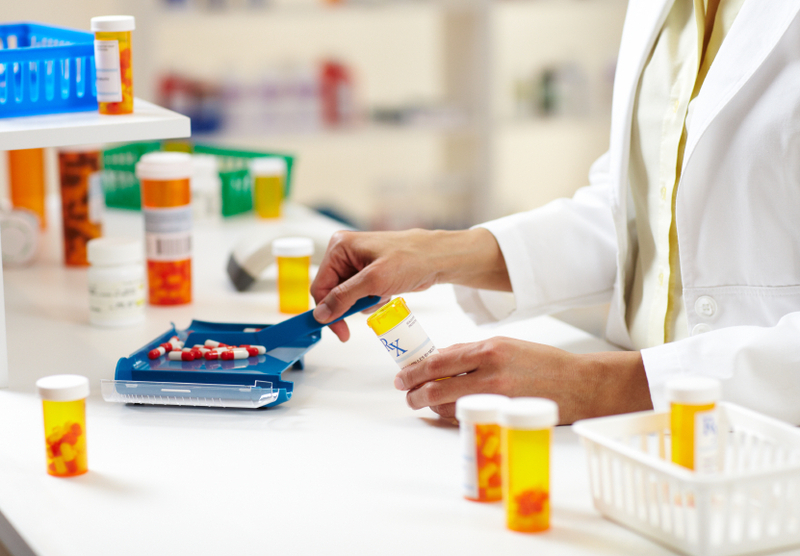 When patients are required to take multiple medications, it can become a bit confusing and tedious remembering which ones should be taken and at which specific time. Our customized packaging system makes it easy for patients by assisting them with further information as to what medication they should take and at when it needs to be taken. All packages are prepared specifically for patients by our pharmacists and are designed and labeled so as to assists the patient with his prescription. Strip Packaging is an alternative form of pack for a unit dosage which encloses the medication in individual strips or pockets so that each is contained in separate compartments. This ensures that the contents within the package are individually secured and he shelf life of the medication is also increased. Dispill Packaging is ideal for patient with multiple dose requirements. It is a simple and safe way to ensure that patients take the correct medication at the correct time. The benefits of Dispill packaging are that it simplifies the distribution of medication with cold-sealed, patented, multi-dose packaging. It also helps to patients adhere to their medication specifications.